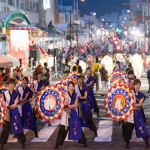 Tottori Shan-Shan Matsuri is the biggest festival in Tottori Prefecture. It is annually held during bon holidays(mid August). The dancers are holding ornamented umbrellas with tiny bells and perform dance in the parade. 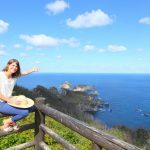 Best package for Oki islands. 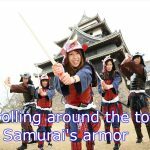 Let's wear Samurai armor and travel in time in the castle town. Walk around the castle town Matue in Samurai costume. You will definitely feel like you are real samurai!. This is very unique options that you hardly seen elsewhere in Japan. ASICS is a Japanese multinational corporation famous for footwear and sports gears. 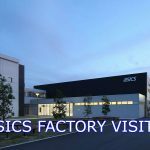 San'in ASICS is located in Sakaiminato city and is only shoe production base in Japan. If you found JAPAN sign behind your shoe's tongue, which mean the shoes are made and shipped from this place. The tour takes about 1 hour and 30 minutes. 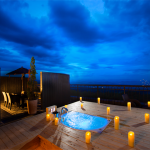 This accommodation has only 6 rooms but all rooms come with private outdoor bath and balcony. It's 1300 years anniversary of Daisen-ji temple,2018. 2Days opening festival is held to celebrate the oncoming summer of mountain. 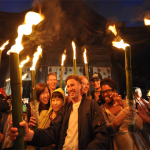 The best highlight is Taimatsu Gyoretsu(Torch parade) at first night. Fuji Dream Airlines connect Izumo airport with Shizuoka and Sendai! New flights start operating at Izumo airport. To/from Shizuoka 25th Mar,2018 FDA185: Shizuoka(16:15) →Izumo(17:35) FDA184: Izumo(14:30)→Shizuoka(15:40) To/from Sendai 20th April,2018 FDA703: Sendai(12:30)→Izumo(14:00) FDA702: Izumo(10:30)→Shizuoka(12:00) These flights make your itinerary more flexible for your trip in Japan. 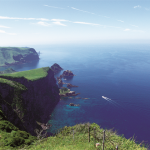 You can easily access to other parts of Japan from San'in region.